San Giovanni d’Asso will host the 33rd annual White Truffle Festival of the Crete Senesi on the weekend of November 17 – 18. The festival has taken place in the Tuscan town every second and third weekend of November since 1985. 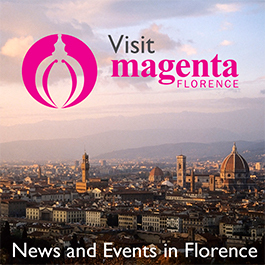 This year it will offer a variety of attractions such as food stands, truffle hunting and a ride on an old steam train through the Siena countryside. The white truffle is internationally revered by culinary professionals as an extravagant and rare delicacy, and its growing process requires time and precision. The prized fungi grow around the roots of hazelnut and other types of trees in alkaline soil with a pH between 7.5 and 7.9. Sapling trees must be planted and tended in carefully tilled plots for five or more years before truffles will begin to grow. The white truffle of the Crete Senesi is valued at a price of €2,000 per kilo and flourishes in climates with warm summers and cold winters. Predictions indicate that this will be a favorable year for the fungus; despite rains in August followed by an extended dry period, experts have reported an excellent quality harvest. 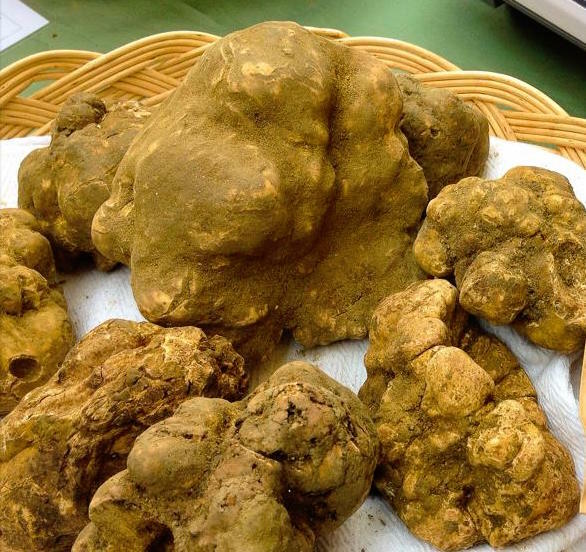 The San Giovanni D’Asso festival will be ripe with opportunities for the public to taste this “white diamond.” A plethora of truffle-oriented cuisine can be found at restaurants, cooking shows, tastings and a competition for the best Sienese pecorino cheese. A new 300 square meter space for street food called “Square Food” will welcome stands and vendors offering not only truffles, but a variety of products from the rural Montalcino district such as extra-virgin olive oil, honey and wine. Events offered for the weekend will include visits to farms, the Museo del Tartufo, wine cellars, mills and dairies, and the woods and countryside of the Pava Archaeological Park. Even the journey to San Giovanni d’Asso has been transformed into an adventure back in time. The “Asciano – Monte Antico” is a restored steam locomotive that will carry guests up the slopes of Mount Amiata, through an uncontaminated landscape not otherwise visible from the normal roads. The old railway closed more than 20 years ago because it passed through uninhabited territory, but it has been resurrected as a quaint tourist experience and unique way to experience the raw beauty of the Tuscan hills. The train will leave from the Grosseto railway station at 8:40 am on Sunday, November 18. Passengers will cross the Ombrone Valley and enter the Val d’Orcia before eventually reaching Monte Antico and arriving at San Giovanni at 11 am. The train will return in the evening via the same route, departing the festival at 4:45 pm and arriving in Grosseto at 6:30 pm. Seats are limited and reservations must be made by phone (0577.48003) or email (booking@visionedelmondo.com). Seats cost €33 for adults along with a €3.50 registration fee. After arriving at festival on Saturday, guests can indulge in a 4:30 pm tasting of panna cotta, chocolate and white truffle paired with Lotto Piceno’s Cotto Wine. On Sunday, November 18 at 3 pm the Sala del Camino in the Castle of San Giovanni d’Asso will host a cooking show by chef Maurizio Corridori of the International Chef Academy. Later at 4:30 pm the same venue will offer a sensory analysis of chocolate and truffles from Pasticceria Ticci and spirits from the Bonollo Distillery. The famed white truffles themselves can be purchased at two locations: inside the Castle of San Giovanni d’Asso and the headquarters of the Sienese Truffle Association. The streets of the village will host the traditional market selling a variety of products, such as natural cosmetics and herbal ointments from the Bottega Antichi Rimedi di Arcidosso. Guests can also shop for traditional preserves and sauces from the Podere Giuncarelli and honey from Parri beekeeper Carlo Stefanelli. Legumes and organic products from Cipressino will also be available along with wines from Fattoria Pieve a Salti, saffron from Pura Crocus, pecorino cheese from Vergelle, chocolate from Paolo Alfani and more. The market will open at 10 am on Saturday, November 17 and Sunday, November 18.